If you are thinking about upgrades for your home, then it is a good idea to learn more about vinyl replacement windows and doors in Redmond, WA. Here at Signature Window & Door Replacement, we are experts in the window replacement industry and our goal is to help you with the high quality windows that you want in your home. What would you say if you found out that you were spending more than necessary on your monthly utility bills? Most people are looking for ways to save money on their utilities, especially since these costs can really add up over time. At Signature Window & Door Replacement, we know that vinyl replacement windows are an effective way to improve the energy efficiency of your home, and we can help you choose the right replacement windows so that you can meet your goals. Energy efficiency matters, especially if you are worried about the impact of your energy usage and the way it affects the environment. Even if you don’t consciously make the connection between using energy in your home and damaging the environment, there is a chain-reaction of things that have a direct impact on the environment. Additionally, energy efficiency has an immediate and noticeable impact on your wallet. Old, inefficient windows can be drafty, causing your heater or air conditioner to kick on more frequently throughout the day. By choosing vinyl replacement windows instead, your home will be better insulated and you can reduce the use of your heater or air conditioner. At Signature Window & Door Replacement, we know that you want to save money on your home improvement projects. We are focused on both price and quality at the same time, helping you to manage your budget and still choose high quality replacement windows and doors. Many homeowners select vinyl replacement windows because these products are very durable and they are also affordable. Just because you are upgrading your home, doesn’t mean that you need to spend a lot of money on the home improvement projects. We can help you choose affordable products that will offer all of the features and function that you need. These immediate savings, combined with the ongoing utility bill savings, can really add up over time. 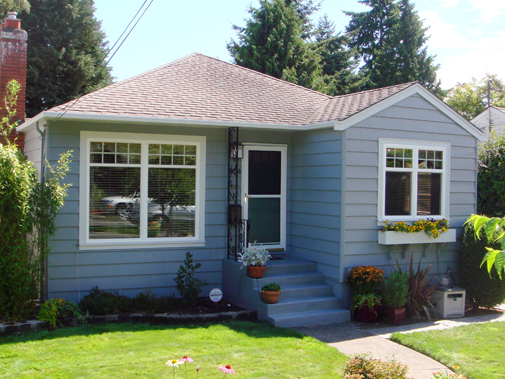 Plus, you will benefit monetarily when it comes time to sell your property, because the replacement windows and doors might help to increase the value of your Redmond, WA home. Over time, older homes can start to look run down and in need of repair. It is important to understand how the appearance of your home impacts your visitors and your family. Once you see that the appearance of your property really matters, then you will be more motivated and excited to make these home upgrades as soon as possible. There are a few things that you can do to change the style of your home, and we invite you to talk with our team at Signature Window & Door Replacement. We will discuss your goals for the project and help you choose the right color, designs, and features that will create the type of home that you have always dreamed about. Vinyl replacement windows and doors can make your home look newer and up-to-date with current design trends. When these upgrades are combined with other small home improvement projects, you can completely transform the overall appearance of your home. In fact, many homeowners like to use the replacement windows and doors as the foundation for the new style and design of their home. The easiest way to get started is to find a few pictures of the style that you like, and then our team can help you get the windows and doors installed to match your goal. Here at Signature Window & Door Replacement, we want to make it easy for you to get started with vinyl replacement windows and doors. When you are ready for more information, then the best thing that you can do is schedule a complimentary in-home consultation with our team.